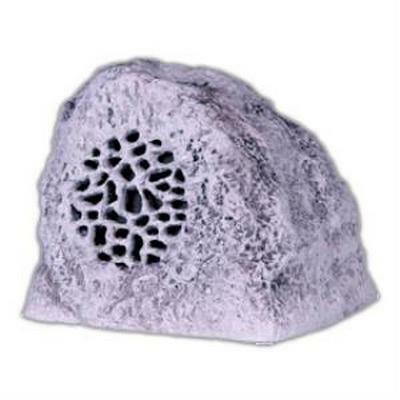 River Rock design, 2-way, 75 watt speakers, 5.25" coaxial driver, 4 ohm impedance. Performance: 76 Hz-19.5kHz, 91 db. Dimensions: 9.5X10.5X8.25. Weight: 11 lbs. 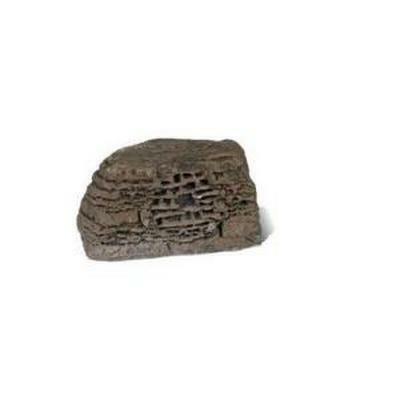 Specify brown, gray or sandstone. 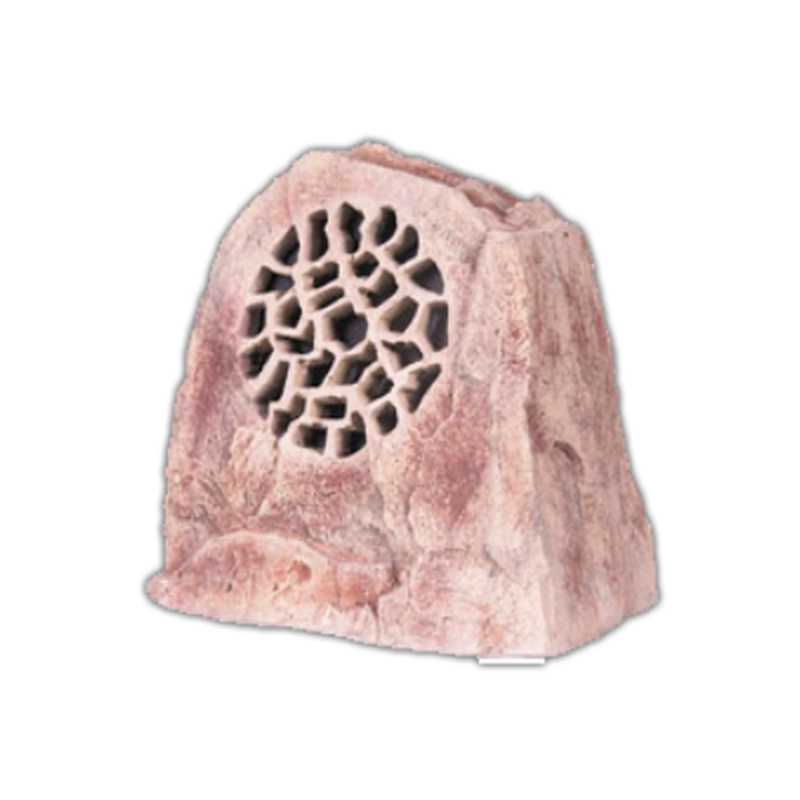 All Rock Series speakers are handmade in the USA, using a elastomer-reinforced polymer that incorporates pulverized stone along with the color. 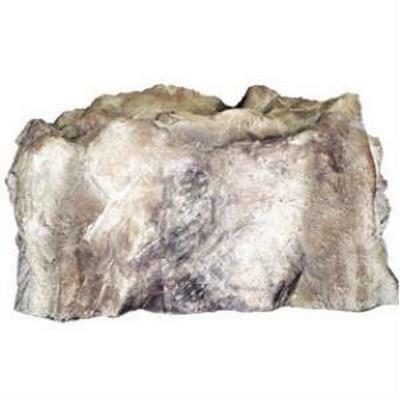 The result is a product that not only looks like a rock, it weathers like one as well. small to medium sized areas. 6.5″ coaxial driver, 4 ohm impedance. 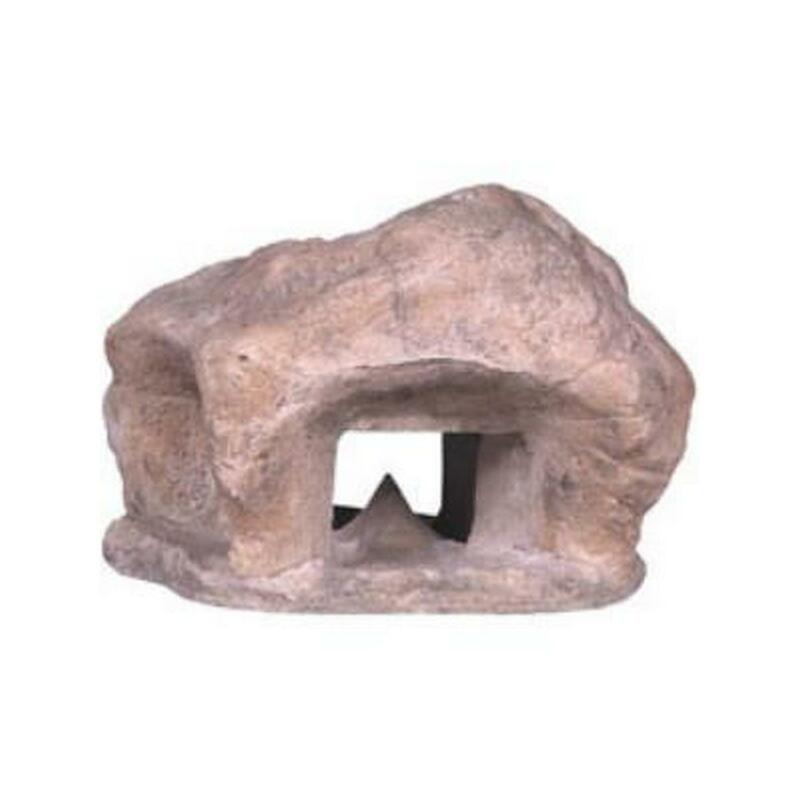 Dimensions: 10.5″ X 12.5″ X 10.5″. Weight: 15 lbs. 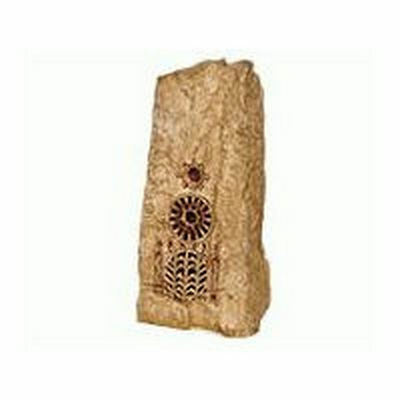 Available in brown, gray or sandstone. 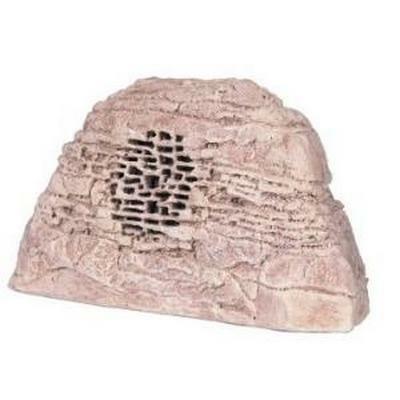 Resembling layered and weathered shale, this 2-way, 70 watt speaker. 6.5" coaxial driver, 4 ohm impedance. 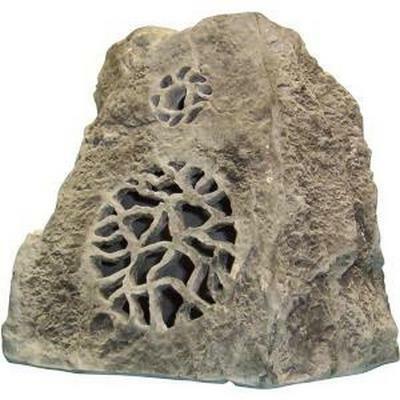 Rockustic Pavarocci with the exotic look of weathered sedimentary rock, this 2-way, 70 watt . 8" coaxial driver, 4 ohm impedance. 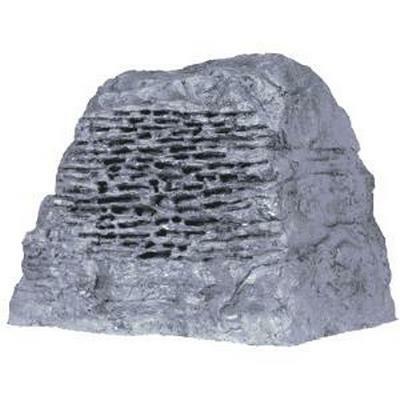 Earthy, shale texture, 2-way, 100 watt speaker. 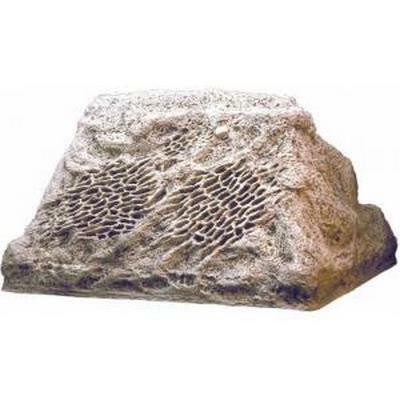 Earthy, shale texture, 2-way, 100 watt speaker for use in medium to large pool and patio areas. 6.5" coaxial driver, 4 ohm impedance. Dimensions: 11.5" X 14.5" X 11.75". These are sold each, call for quantity pricing. 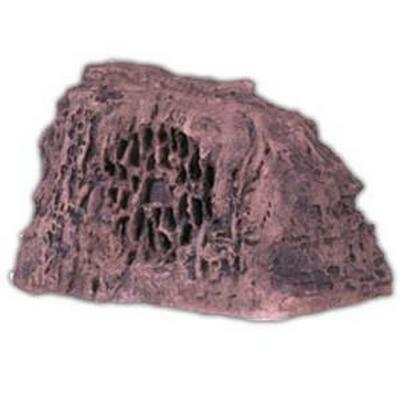 Rockustics RockyToo Layered and weathered shale texture, 2-way, 100 watt speaker. 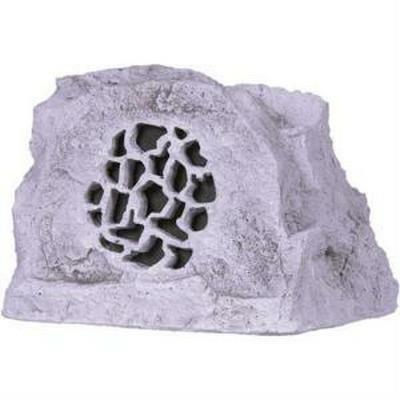 large pool or patio and commercial applications. 6.5" coaxial driver, 4 ohm impedance. Performance: 69Hz-19kHz, 89 db. Dimensions: 12 X21.75 X 11.5. Weight: 31 lbs. 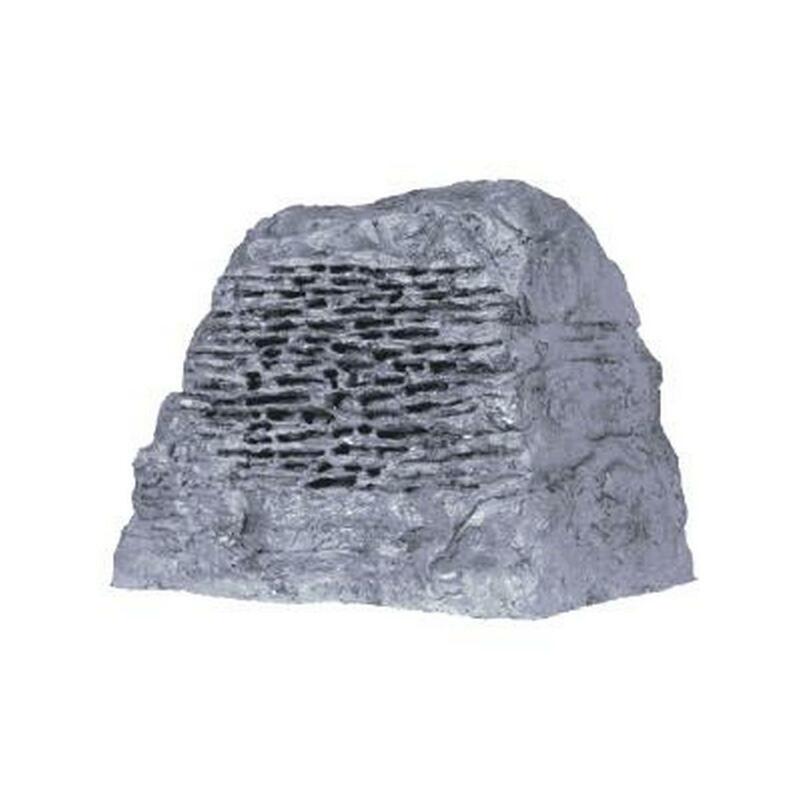 Weathered look of commonly found gneiss in a 2-way, 100 watt speaker. 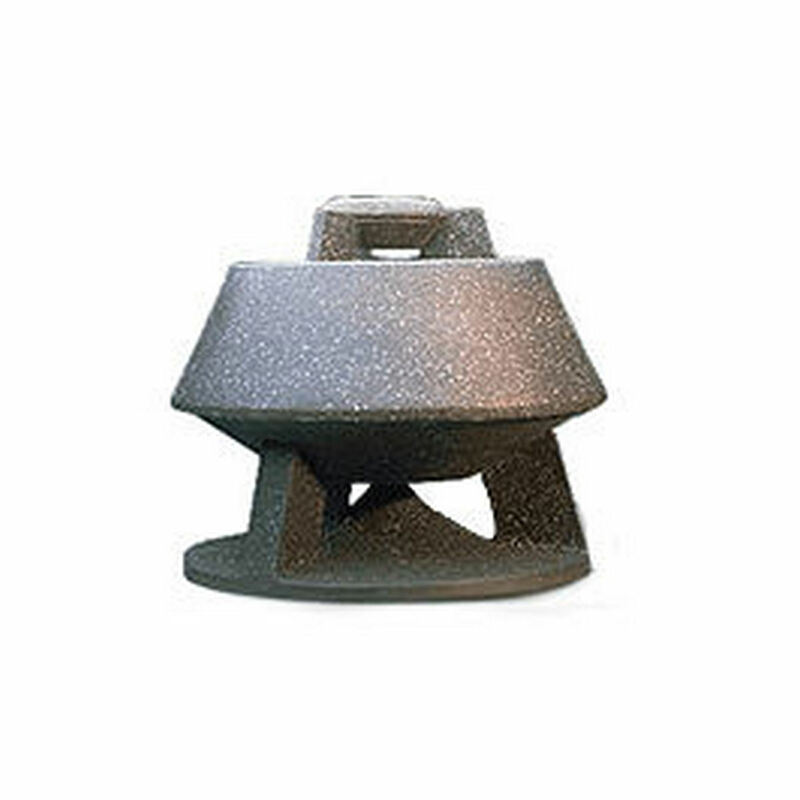 The speaker that started the entire outdoor category and was granted the first U.S. patent for outdoor speakers. 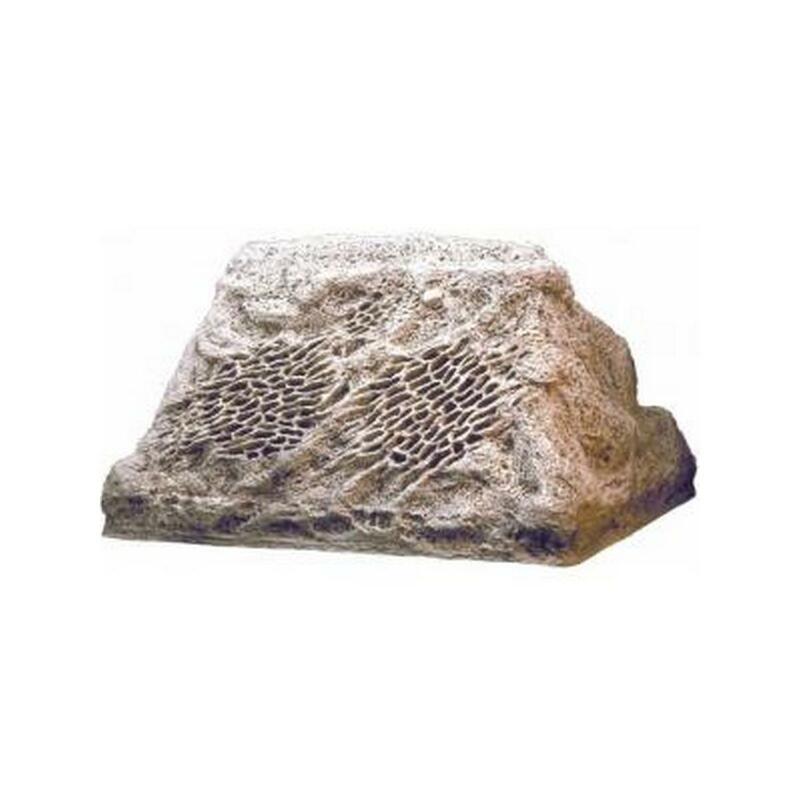 2-way, 100 watt speaker best for large outdoor areas with its 100'-150' sound distribution. 6.5" woofer, 1" tweeter, 8 ohm impedance. 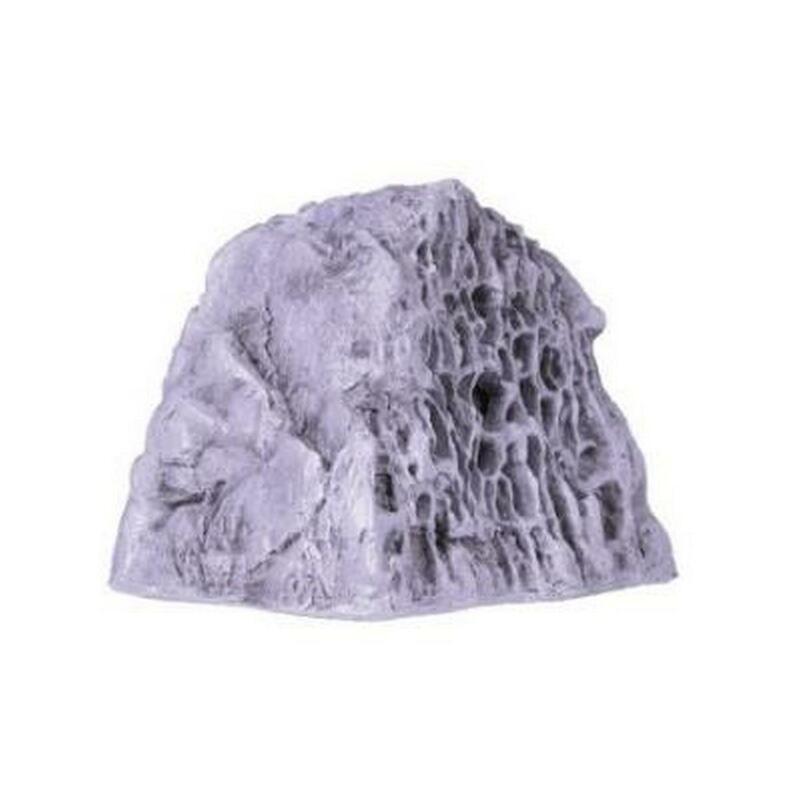 Hand finished mineral dye process and flawless granite exterior provide a natural look. 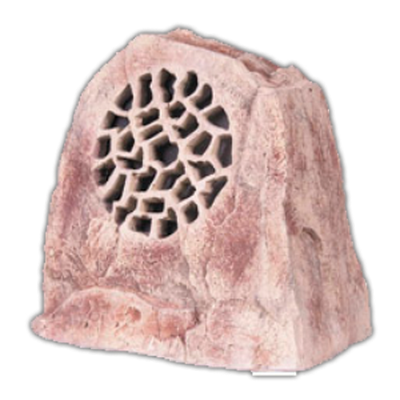 2-way, 150watt speaker that sets the industry standard for large residential and commercial applications. 8" woofer, 1" tweeter, 4 ohm impedance. Performance: 70 hz-19.5 kHz, 90.5 db. Dimensions:14.5 X 17.25 X 17.75. Weight: 45lbs. 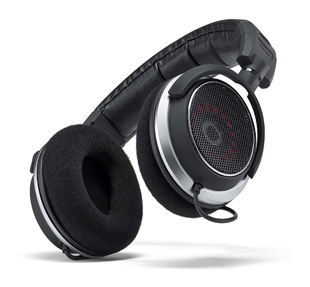 of clear, dynamic sound with great volume potential to large open areas. Ported granite cabinet featuring subtle "Southwest-Style" petroglyphs hosts two 8", 100 watt drivers and one 1" dome tweeter. The Rockolyth is a ported granite cabinet featuring subtle “Southwest-Style” petroglyphs hosts two 8″, 100 watt drivers and one 1″ dome tweeter. 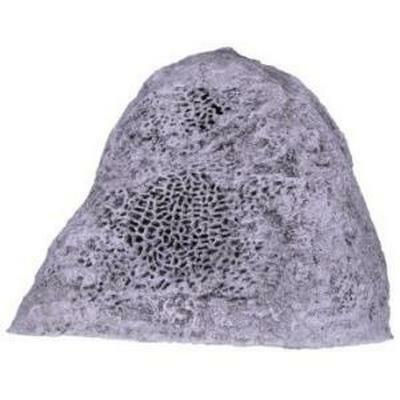 Provides high-fidelity sound for large indoor and outdoor settings. Winner of Audio-Video Interiors' “Excellence in Design” award. 8 ohm impedance. Dimensions: 18″ X 22″ X 40″. Weight: 150 lbs. 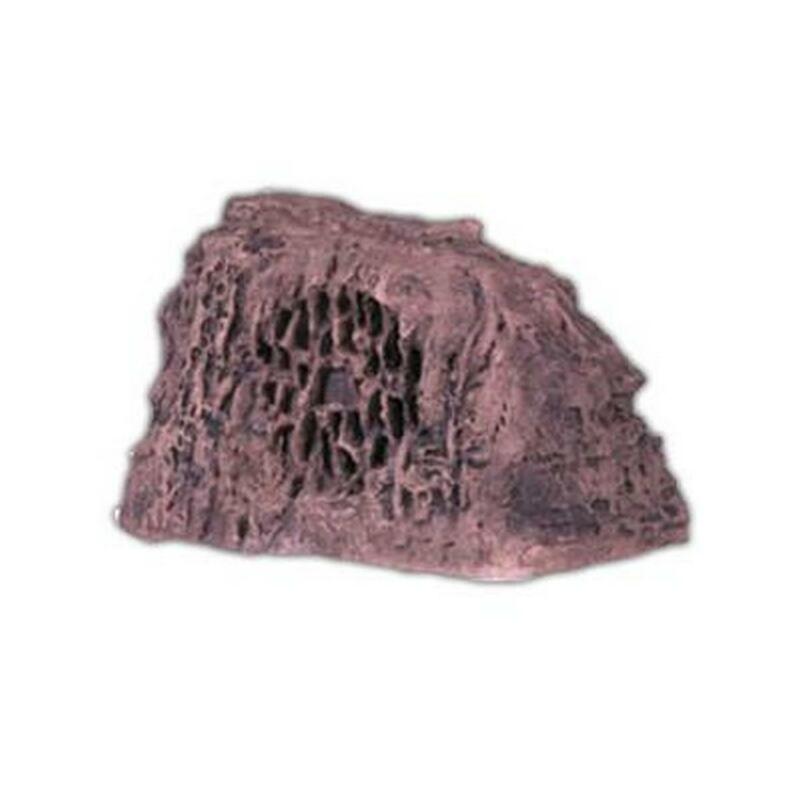 Exotic look of weathered sedimentary rock in a 2-way,100 watt speaker featuring the SweetSpot™ system. 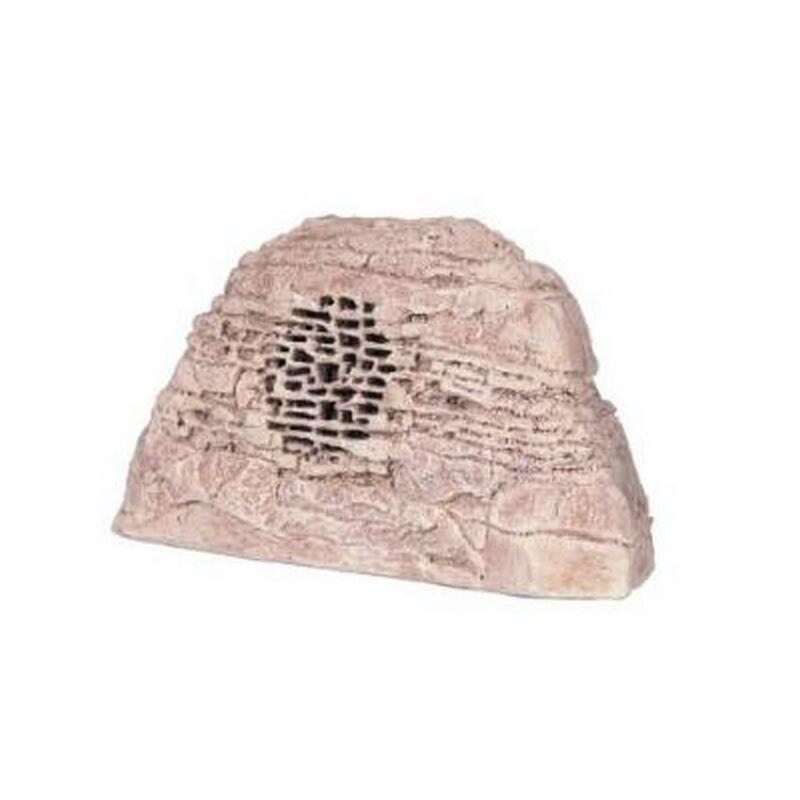 With the exotic look of weathered sedimentary rock, this 2-way, 70 watt speaker is extremely versatile for use in large patios to small pool areas. 8″ coaxial driver, 4 ohm impedance. 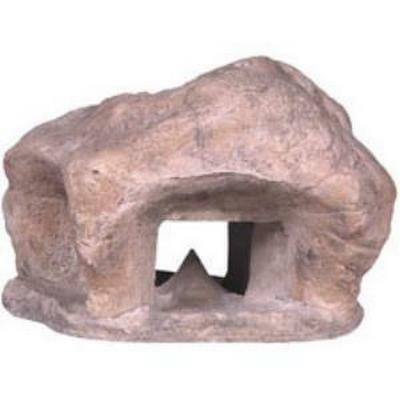 Dimensions: 13.5″ X 16″ X 12.5″. Weight: 24 lbs. Delivering 360° (horizontal dispersion) of dynamic sound. Flower pot is designed to accommodate live plants and allow for drainage. 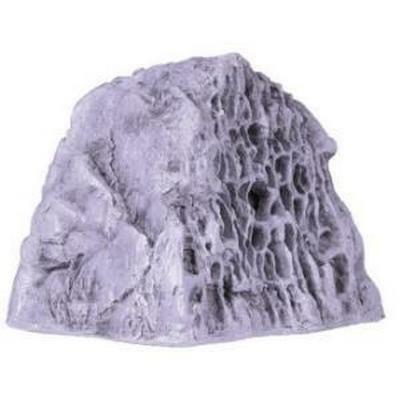 Constructed of rotation-molded, UV stable polyethylene. 6.5″ coaxial driver, 70 watt, 4 ohm impedance. Dimensions: 20″ dia. 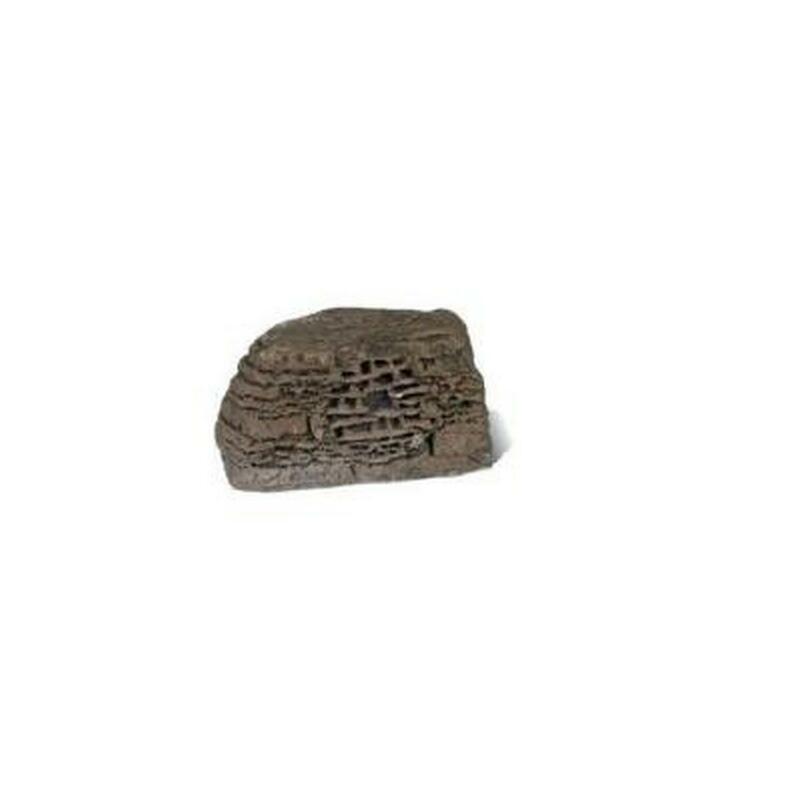 X 17″ H. Weight: 14 lbs. 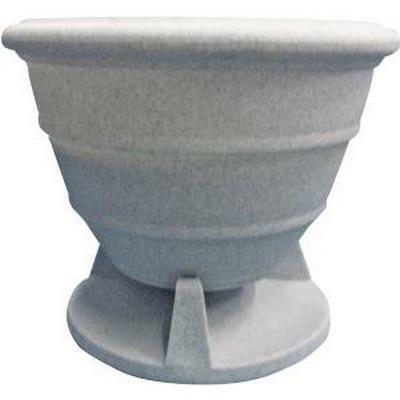 Available in gray granite or terra cotta granite colors. 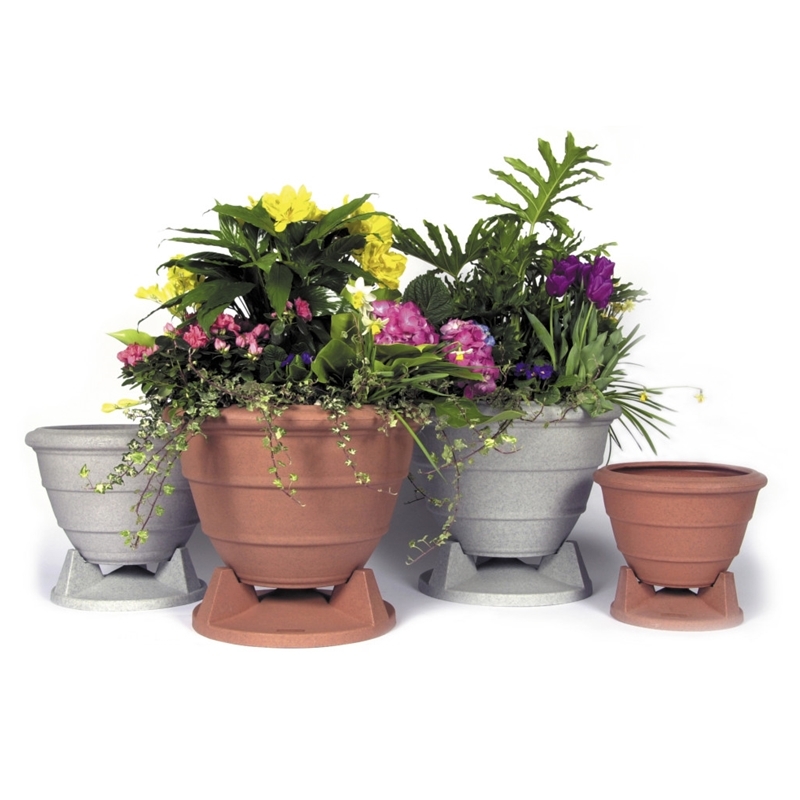 Rockustic OmniPlanter6.5 Large, circular floor planter delivering 360° (horizontal dispersion) of dynamic sound. polyethylene. 5.25" coaxial driver, 75 watt, 4 ohm impedance. Dimensions: 16" dia. X 14" H. Weight: 11 lbs. 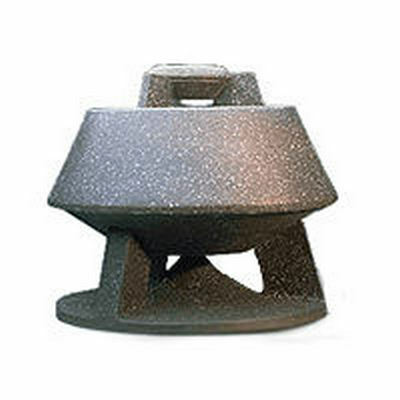 Offering omni-directional sound from a 2-way, 75 watt speaker. 5.25" coaxial driver, 4 ohm impedance. 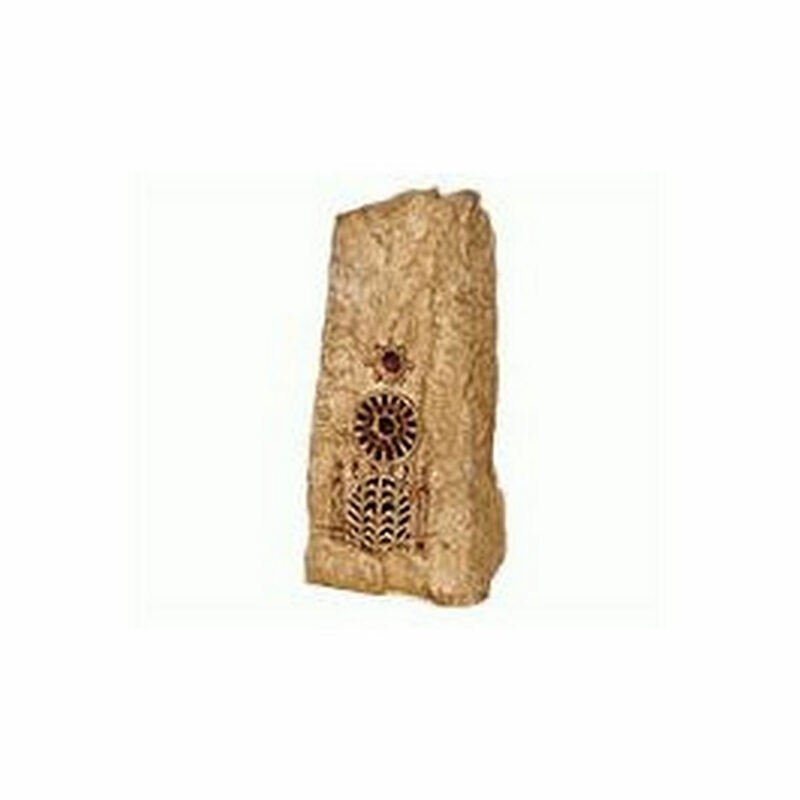 Offering omni-directional sound from a 2-way, 75 watt speaker. 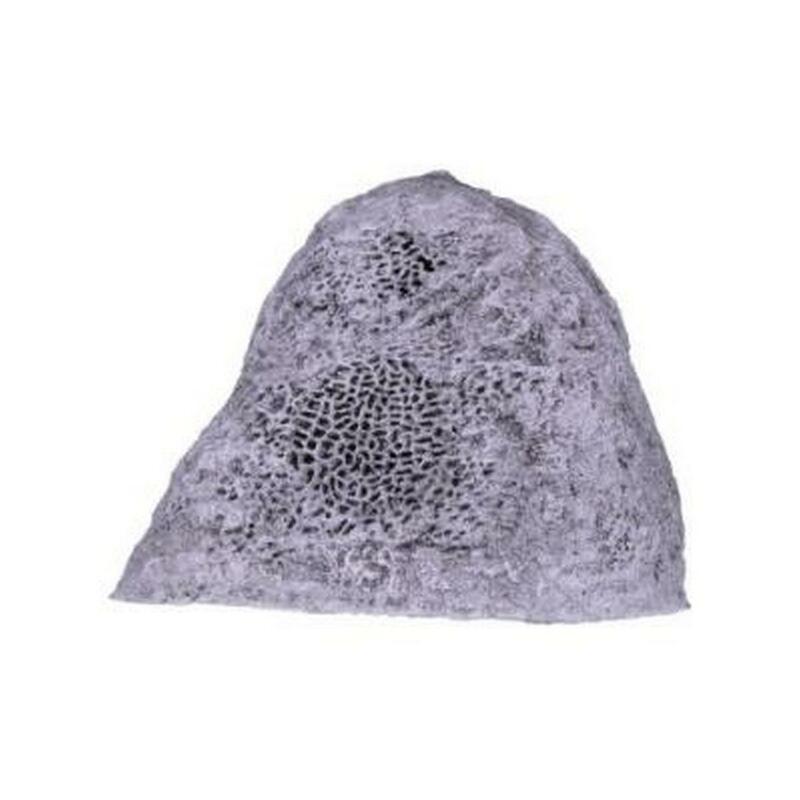 Inconspicuous and ideal for placement in flower and plant beds. 5.25″ coaxial driver, 4 ohm impedance. 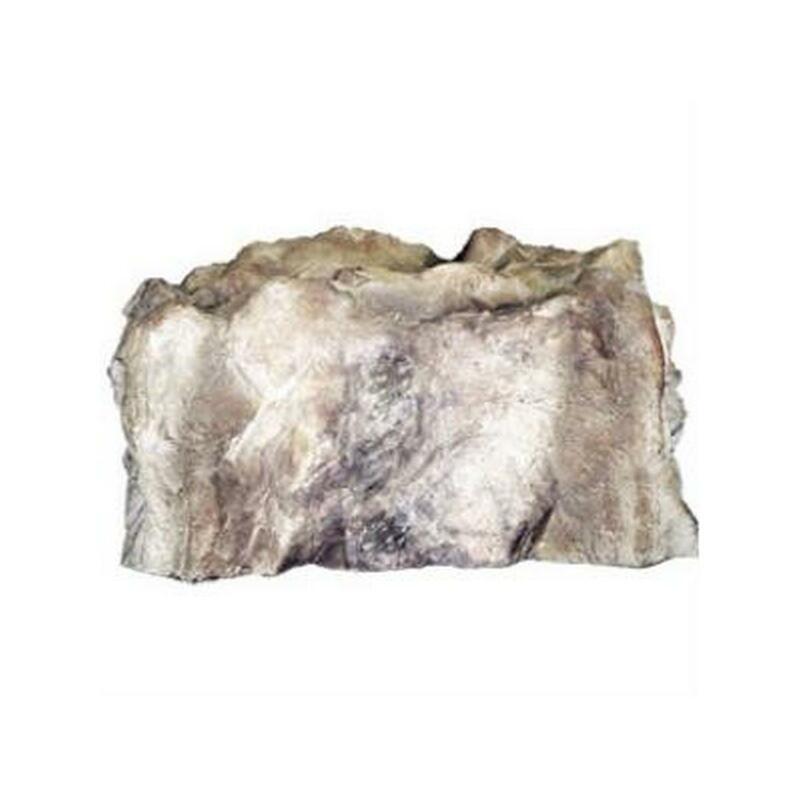 Dimensions: 15″ X 15″ X 12.5″. Weight: 40 lbs. Color Options: brown, gray or sandstone. 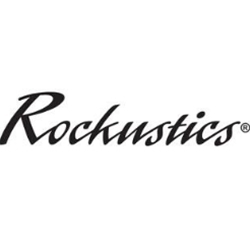 Rockustics COM360 Smooth, granite finish adds to contemporary look of this 2-way, 100 watt speaker. your eyes. 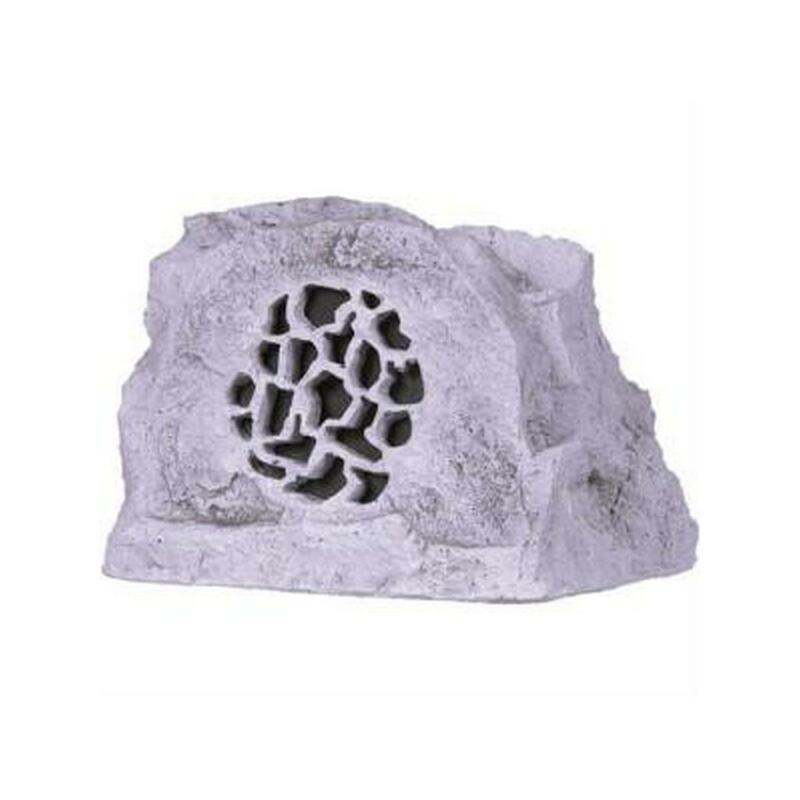 A smooth, granite finish adds to the modern look of this 2-way, 100-watt, omni-directional speaker. 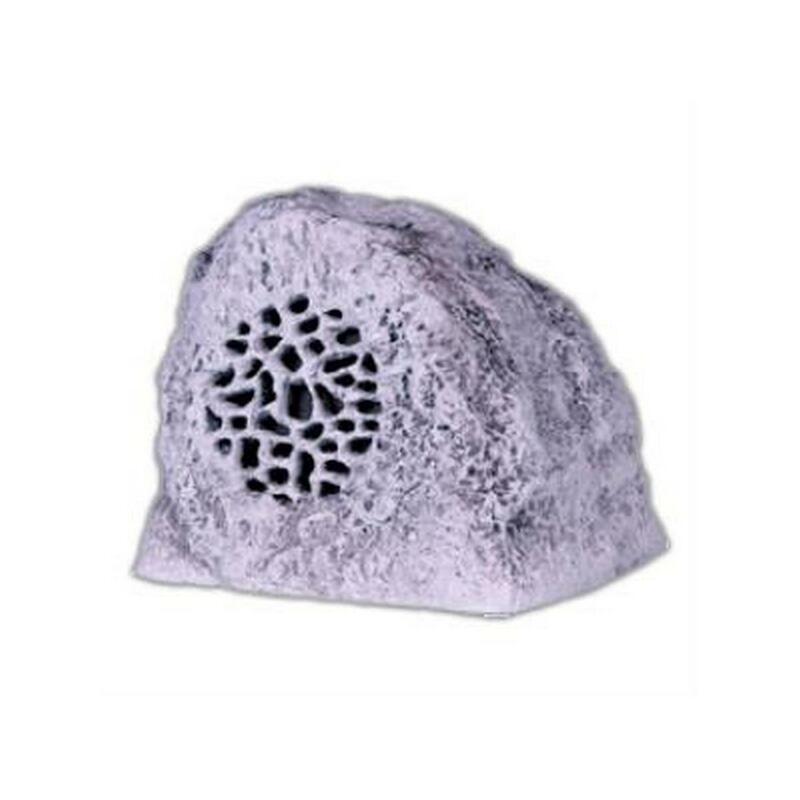 With excellent bass response, it is ideal for any outdoor area requiring omni-directional sound. Small package designed to pack a punch. Features one 100 watt dual voice coil driver and a passive crossover with outputs for fullrange speakers. 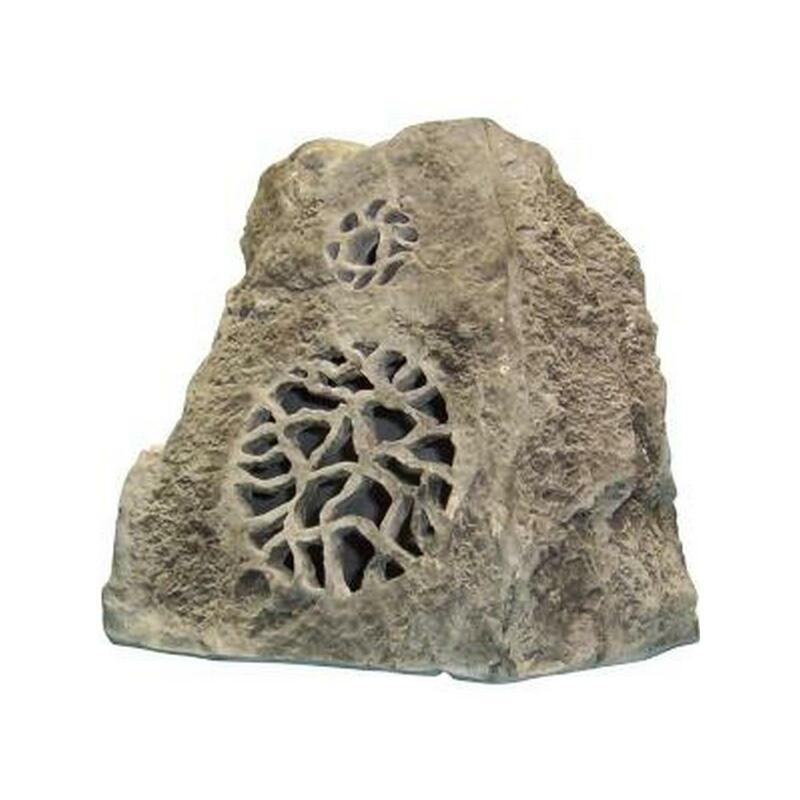 Exotic, weatherized sedimentary rock housing, best paired with Rockustics 5.25″ weatherproof rock speakers. 8 ohm impedance. Crossover Included. Dimensions: 15″ X 12″ X 15″. Weight: 55 lbs. Color Options: brown, gray or sandstone.